Dallas, TX has a new sculpture, one which might unnerve visitors more than a little. 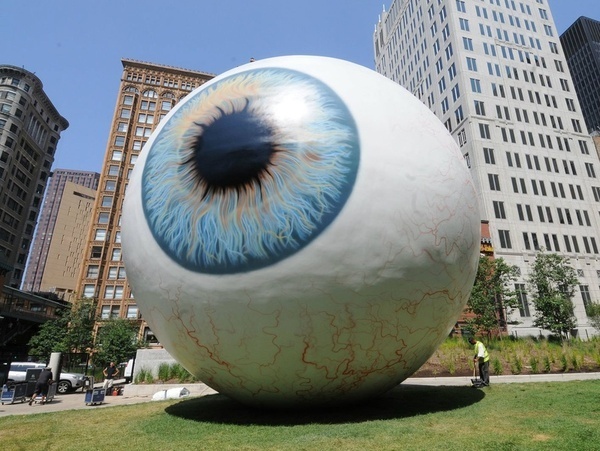 "Eye", by Tony Tasset, now sits in downtown Dallas after having done a stint in Chicago. If you want to see this 30-foot eyeball in all its ocular glory, you have through September to do so.